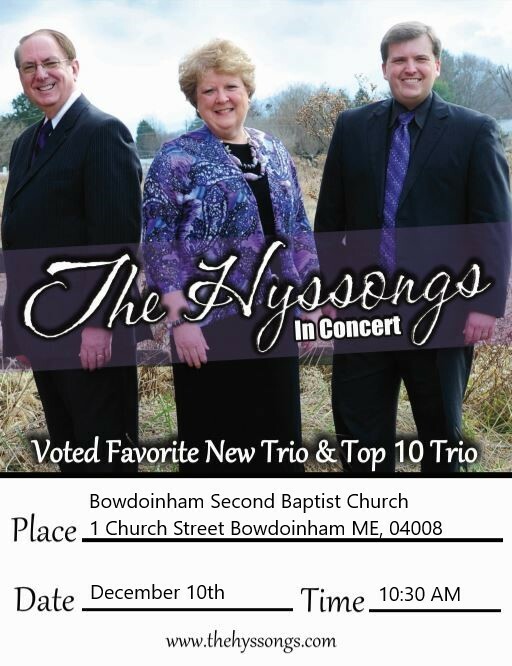 Home » Uncategorized » The Hyssongs – Christmas Concert LIVE! 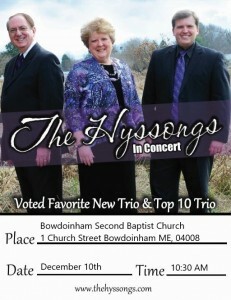 Please join us in welcoming the Hyssongs on December 10th at 10:30 AM at Bowdoinham Second Baptist Church. A Christmas performance that honors Christ is sure to bless everyone within earshot!